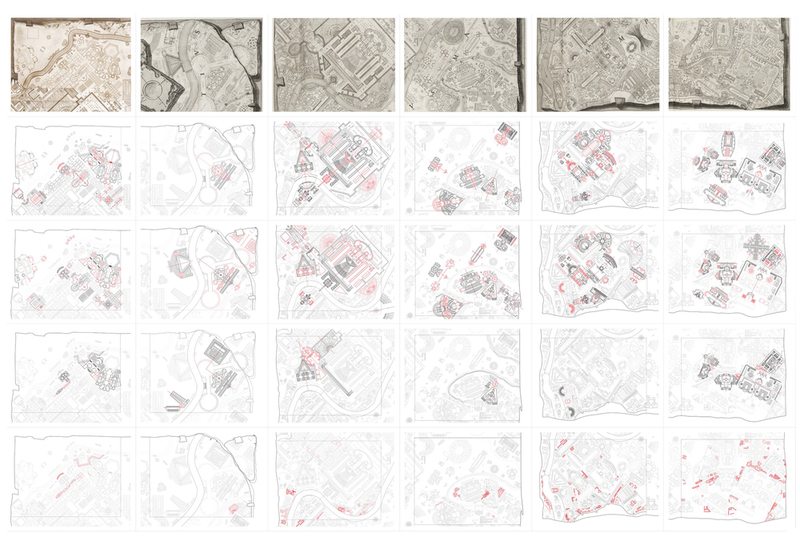 Based on the assumption that the Campo Marzio plan is a unique instance of Giovanni Battista Piranesi’s oeuvre in terms of the relationship of architecture to the city, i.e., its scale, history, time, etc., the Campo Marzio plan is representative of an instance situated between an historical past and a possible future. The fictitious plan is the only means of understanding the spatial implications of the structures and topography, imagining the third dimension became a task full historical research and fabrication of the truth. The model above is a design executed from an investigation into what the third dimension of Piranesi’s plan might look like. It was a product of a 3D digital modeled, 3D printed at full scale, (plates) combined, and gold-leafed. 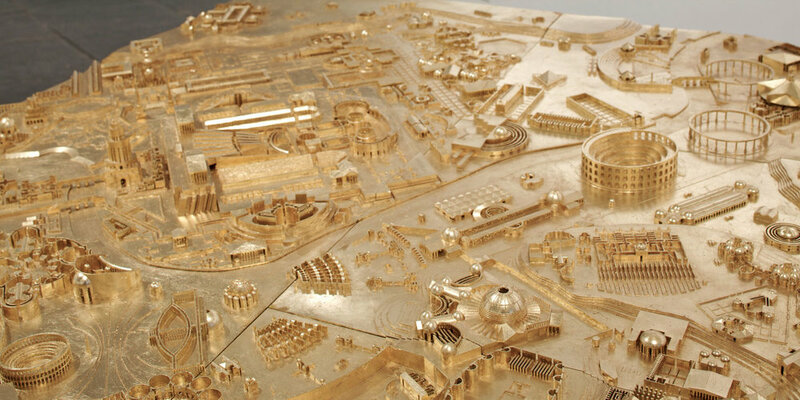 The model became part of an exhibition at the 13th International Architecture Venice Biennale. In order to make the plan and the designed structures legible to its viewers at the exhibition, a taxonomy was produced to indicate key components for understanding the plan in detail. The analyses measured 8 feet long and was paired next to the 3D model for reference at the Venice Biennale. These drawings were produced in the office of Eisenman Architects with Matt Roman as an independent project to accompany the 3D model which was labored in concert with students of the seminar taught by Eisenman at Yale School of Architecture.